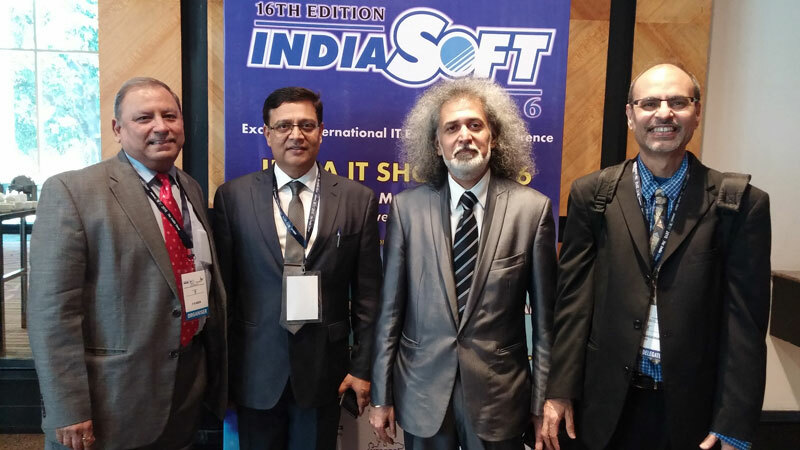 I was selected (out of 24 people) as one of the Foreign Delegates from United States for IndiaSoft — an international B2B IT conference that took place March 10-11, 2016 in Mumbai. 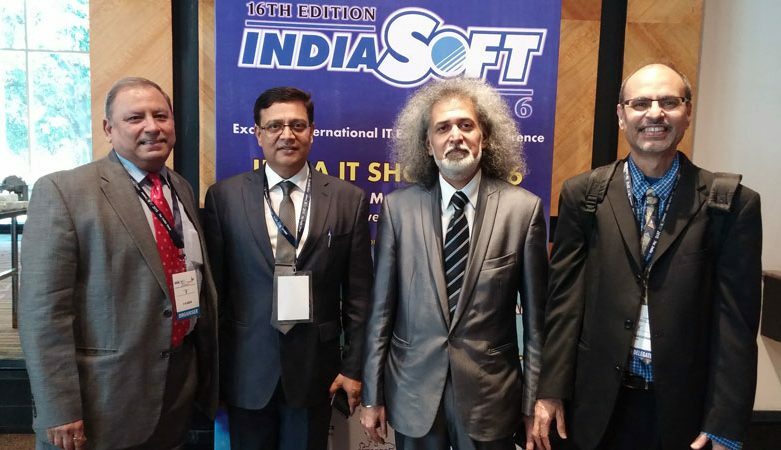 I was granted a unique opportunity to meet and interact with over 150 Indian IT companies and more than 400 IT buyers from over 70 countries, such as Latin America, Africa, Europe, Japan and more! 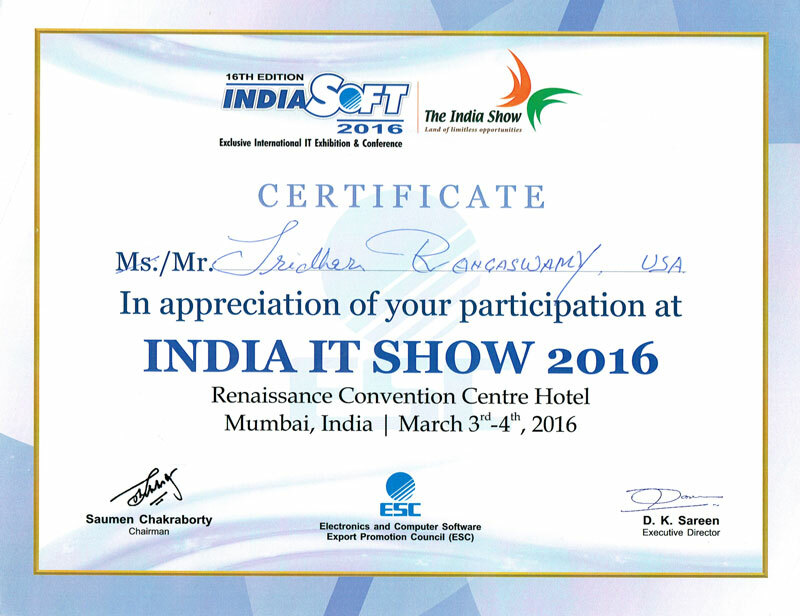 This was a great accomplishment for me as I am originally from Tamil Nadu, located in Southern India. There I worked as a low-level Data Entry Operator at a steady, government paying job. It was stable, guaranteed. It paid the bills. However, my passion laid elsewhere. A hard worker. Self-motived. I was always determined to leave my mark on this universe. Even though it seemed impossible sometimes, I never lost sight of my dreams. I wanted to come to the United States. Every day, I would stare at motivational clippings posted on my wall or go to the U.S. Embassy and watch ABC news – trying to learn the steps I needed to take to make it to the U.S.A.
On May 16, 1996, I stepped foot on the Land of the Free. Through a work visa, I found jobs in Georgia, South Dakota and finally ended up in Florida – where I settled in Orlando. This is where my journey began. To be able to come back to my home country, India … selected as a foreign delegate from the United States was a great accomplishment. Made my mother proud!